I’ll be honest, I’m pretty happy with the shin pads that I use. I’ve found something that works for me and they’ve been my leg protection of choice for around fifteen years now. My relationship with my shin pads has lasted far longer than any wife or girlfriend I’ve had. A scary thought. But I’m in a minority. I come into contact with a lot of people who detest wearing shin guards. I see people trying to get away without wearing them, although referees soon seem to spot this. The other alternative seems to be to use shin pads that are so small that you hardly notice they’re there. But that doesn’t exactly provide a great deal of protection. It seems that when it comes to shin pads that are comfortable to wear, there aren’t many good choices available. So when I started hearing positive things about a particular brand of shin pads, the S1 Sport shin pads, I was keen to get my hands on a pair. Fortunately S1 Sport obliged, and sent me a pair to try out*. 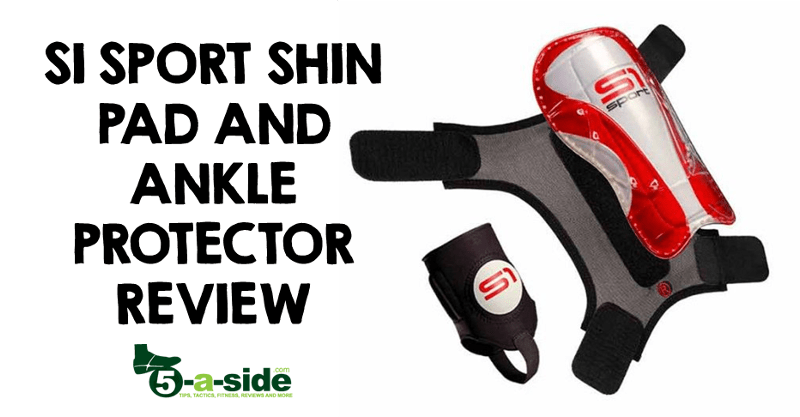 You might not have heard about the S1 shin pads before. They haven’t exactly hit the mainstream and your’e unlikely to find them on the shelves of your sports store (yet). In fact, the main outlet for buying them appears to be the company’s own website. But don’t let this make you think that they don’t have a decent product. It all sounds good in principle, but how do they stand up to testing? The way the pads work, they have a unique ‘sleeve’ that fastens securely around your lower leg using Velcro straps. When that is comfortably in place (and only at that point), you fix the pad over the top using a simple Velcro fastening. It’s a neat idea and something that I haven’t seen before. The act of velcroing the pad onto the sleeve allows you to get it positioned perfectly where you want it on your leg. And it won’t move from that point. With my pads fastened in place, I tested them them in a real game situation and found them very comfortable throughout the 40-minute game. There was no discomfort from the sleeve, which is the part that comes into contact against your skin. As far as protection goes, the pad its self is constructed from sturdy plastic, but is still lightweight. It’s not the largest pad available on the market – but it compares well with most regular-sized alternatives. It’s big enough to give you protection down the majority of your shin bone, which is the main aim. Fortunately I didn’t take many major kicks when I tested them, but I felt confident that the pad was going to protect me against most situations. Another tick in the box. At the end of the game, I took the pad off and didn’t have the usual sweaty sensation that you’ll usually get with the cheap pads pressed up against your leg. I’m not saying you won’t sweat at all in these, but the sleeve does seem to minimize the effects. A pleasant surprise. So, the shin pad stands up well to scrutiny, but my usual pads also have an ankle guard attached to them. I know not everybody likes to wear these, but I wouldn’t be without mine – they’ve saved me against many kicks over the years. Not to mention the pain of having studs raked down your ankles from clumsy challenges. 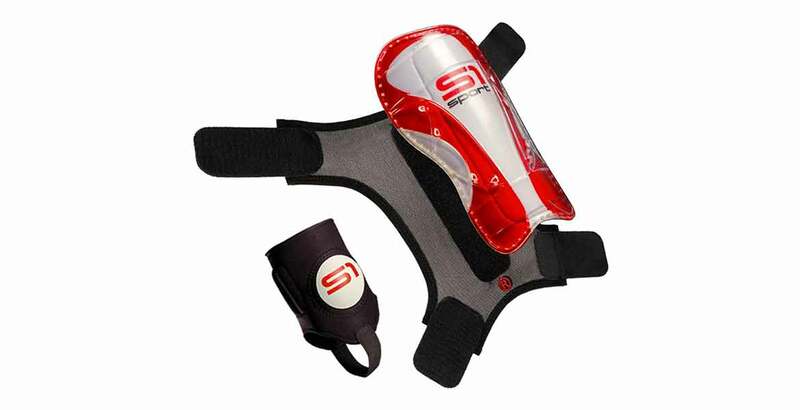 The S1 Sport pads don’t come with ankle guards as standard. But luckily, I was sent a pair of the ankle guards as a little extra bonus. Nice touch. The pair I was sent came with AS Roma branding. I’m not exactly sure why, but it added a little extra interest to the product. Here’s me having tried on the shin guard and ankle protector. They come separately, but together they look like an integrated unit. The foot and the leg move independently of each other, so it makes sense to have separate protection for each. It allows you to separately size the ankle protector and shin pad, allowing the best fit for each part. You might need a shin pad in ‘L’ and an ankle protector in ‘M’. To be honest, I’d never thought of it like that. Both reasons make absolute sense. The protector its self is made from a thin neoprene material (think of the sort of material a wet suit is made of). It’s both soft and stretchy and can be worn under or over a sock. I wore it under a sock. The stitching on the inside is tidy and there’s no chunky hem to rub against your foot. The fit is comfortable but fairly tight, which provides compression support for the joint. Hard discs are sewn in on each side of the ankle to protect against knocks and bumps. Because of the fit and design, these shouldn’t move around on your foot. But the smartest feature of this protector, and one that is badly missing on my usual pad is the achilles protector. 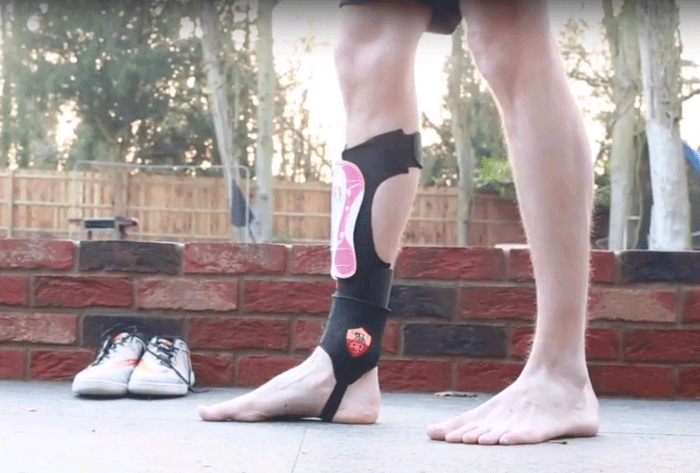 As somebody who has struggled a lot over the past year with an achilles injury, I really value this extra feature. It’s as simple as having two lines of thickened neoprene running down the achilles but it’s such a smart idea. The achilles protection sewn in at the back of the ankle protector is a really smart feature. As with the shin pad sleeve, the ankle and achilles pad is fully washable. The shin pad and ankle protector system is really good. But does it reach shinguard perfection? Well, there are a couple of small downsides to it. First, the system will take you longer to put on than a normal pad. 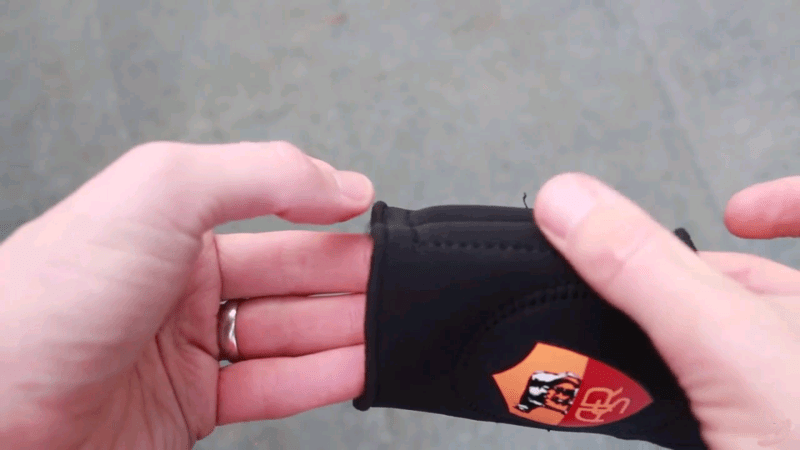 It’s not just a case of slipping it inside your sock and away you go; you need to fit and fasten the sleeve using the Velcro. Then there’s the ankle guard – this is deliberately tight fitting but that does make it tricky to put on. However, the extra time you invest in putting these on has to be weighed up against the much better fit that you get once it’s in place. They really do fit a lot better than regular pads, and that’s a huge selling point. Now, this is a little picky, but I’ve got a second gripe with these shin pads. It’s to do with the velcro fasteners on the shin pad sleeve. They’re large, so that they will securely hold the sleeve in place, but the velcro won’t exactly overlap for most people. The scratchy side of the velcro faces outwards from the calf, so that it won’t rub uncomfortably against your skin. The problem is that it comes into contact with your sock, and sticks to it. When I was trying to put my sock on over the pad, I was snagging it on the velcro a lot. It’s not a major objection, but still a nuisance. Hardly a deal-breaker, though. Update on this last point: S1 Sport got in touch with me and let me know that actually they’d thought this feature through when they were designing it and intentionally made it this way. The thinking is that the velcro will stick to your sock and keep your sock in place. So, for some of you, that might be a positive – especially if you find your sock slipping all the time. Having never heard of these pads before, I’m impressed. I’d heard feedback that they were worth a try and they didn’t disappoint. They rate well for protection, comfort and fit, which are the main things we look for in a pad. Price-wise, the pads are more expensive than your standard slip-in basics. But given that there’s more to these pads, they’re not priced at an unrealistic level and won’t break the bank. So the question is, will I be swapping my much loved pads that have been with me for 15 years for the S1 Sport system? Well actually, I’m going to give them a try and that, for me, is huge. My existing pads have been brilliant over the years and I never thought I’d be thinking of replacing them – that alone tells you I rate them. Perhaps I’m not going to chuck out my existing pair just yet. I need some more time to test the S1 Sport, and I’ll update this post if I discover any flaws, but this could be the start of a new era. In summary, if you haven’t yet found a shin pad that works for you, I’d definitely recommend having a go at the S1 Sport system. It’s very different to your typical shin pads, and in my view it solves a lot of the common reasons people have for not wanting to wear pads at all. It provides a great balance of comfort and protection, and after all – that’s what it should be all about. *Disclaimer: S1 Sport sent me a pair of shin pads and ankle guards for free. In exchange, I promised to do a review of them, but the above represents my own independent opinion of the product. This site has not received any extra compensation for the review, nor does it have any affiliate arrangements with S1 Sport. Our reviews always represent our own, honest, opinions. Excellent article as always interestingly no one in our pool of players actually wears shin guards I don’t know why, In the past I’ve sometimes thought that players with shin guards can be a bit more aggressive in the challenge compared to those without. That thought has crossed my mind too. Does wearing shin pads to a friendly look like you’re dressing for war and invite harder tackles. My thinking is that, ultimately, the guys know you and will know if you’re dirty so it shouldn’t matter. But I fully understand that perspective.